If you're in the market for a premium executive saloon that'll ensure you arrive in style, a used Jaguar S-Type is well worth taking into consideration. The 2.5-litre version packs plenty of punch yet is surprisingly economical for such a large vehicle. If you're looking to make a strong impression, the S-Type is the model for you. 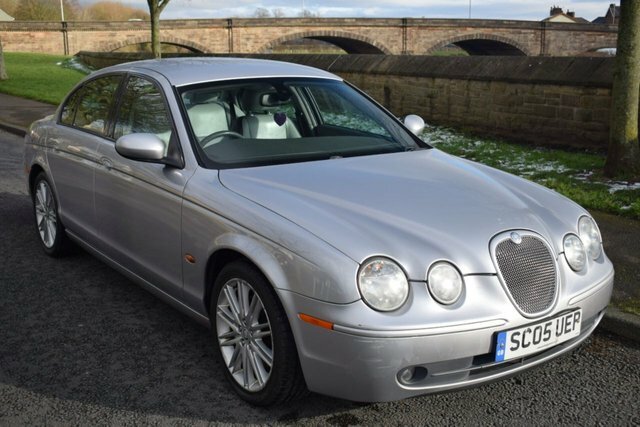 Take a look at the complete range of used Jaguar S-Type cars for sale in Preston right now here at Rydal Motors (Preston) Ltd. You can view our stock online on the website but be sure to contact a member of the showroom team when you're ready to arrange a test drive. Finance is available to UK residents aged 18 years or older, subject to status. Terms & Conditions apply. Indemnities may be required. Other finance offers may be available but cannot be used in conjunction with this offer. We work with a number of carefully selected credit providers who may be able to offer you finance for your purchase, commission may be received. We are only able to offer finance products from these providers. Postal Address: Rydal Motors (Preston) Ltd, Fort Garage, Chorley Road, Walton-le-dale, Preston, Lancashire PR5 4JN. Find contact details here.